Thackray Medical Museum is hosted in the old St James’s Hospital in Leeds (141 Beckett Street). The Museum "has its origins in a small family-run chemist shop, opened in 1902 by Charles Thackray, in Great George Street, Leeds. Charles developed the business into a major medical supply firm, supplying drugs and medical instruments and equipment across the world. The business was finally sold to a multi-national company in 1990 and Charles’s grandson Paul, a company director and major shareholder, established the museum to enable the wider public to learn more about the story of medicine. The museum building has a long and chequered history. 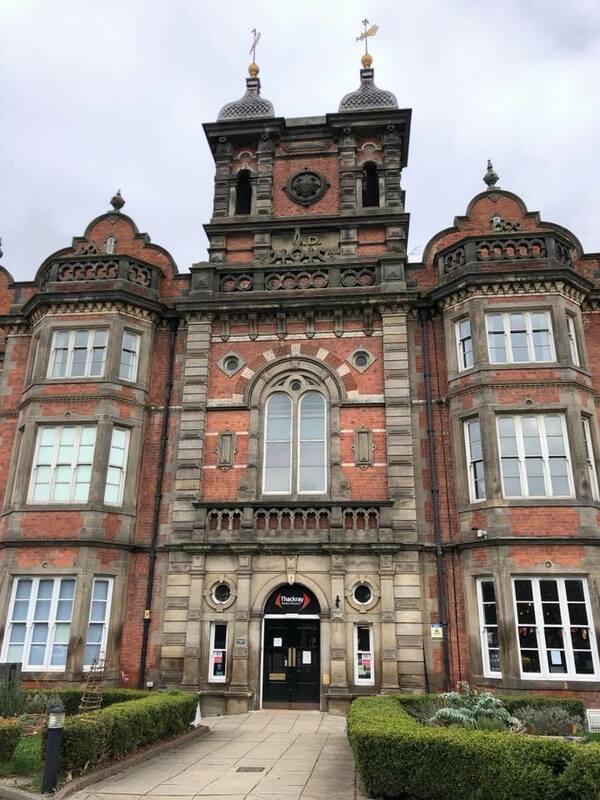 It first opened in 1861 as the purpose-built Leeds Union Workhouse, a harsh and unwelcoming home for poor and homeless people with nowhere else to go. Over the years, new buildings were gradually added to the workhouse complex, including a separate infirmary. More enlightened policies and the introduction of state support in the early twentieth century meant that workhouses were no longer needed, and in 1925 the Leeds Union Workhouse infirmary was renamed St James’s Hospital. By 1945, the rest of the workhouse had merged with the hospital and it became part of the NHS in 1948. By the 1990s, the old Leeds Union Workhouse building was considered unfit for modern medicine. As a listed building, it could not be demolished and Parliament gave permission for it to house the Thackray Medical Museum, which opened in 1997"1. 1. From the Museum's official website.